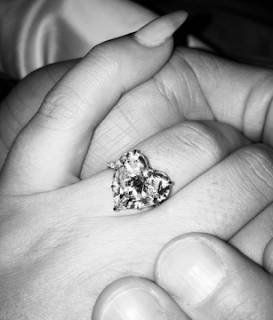 Lady Gaga has announced her engagement with her boyfriend of 4 years, Hollywood actor Taylor Kinney . She shared the picture of her engagement ring (pictured above) on her Instagram account yesterday. Best wishes to the lady of the GAGA and co.
Gaga and the Zero Dark Thirty actor have been dating on and off since 2011. They met whilst recording her video for You And I – a song about an ex-boyfriend of hers. US reports say they celebrated in New York restaurant Joanne’s Trattoria, owned by Gaga’s family. The couple have been inundated with messages from their fans congratulating them on the news, with the hashtag #CongratsGagaAndTaylor trending moments after their happy news broke.